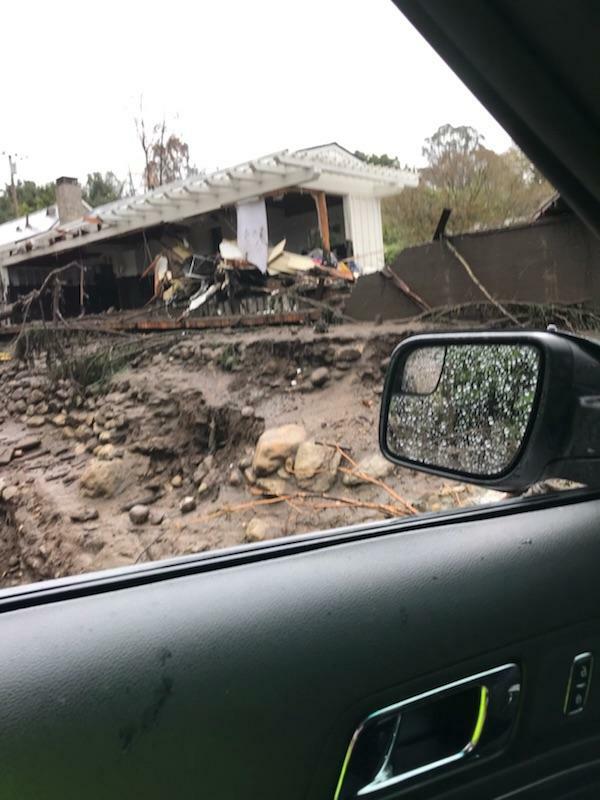 On January 5, 2018, Santa Barbara County began flooding (pardon the pun) Social Media and broadcasting to its citizens of impending dangers of increased risk of flood/debris flows due to the #ThomasFire. 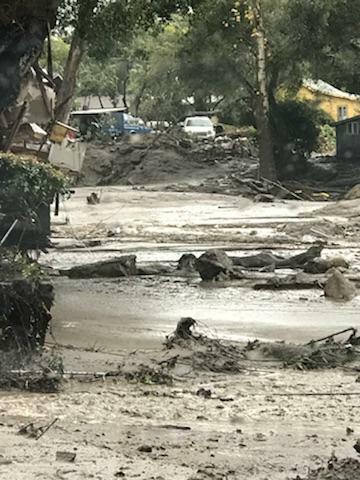 CAL FIRE is assisting Ventura County Fire Department and Santa Barbara County Fire in the Montecito, Summerland and Carpenteria areas (Santa Barbara County) due to flooding and mudflows. 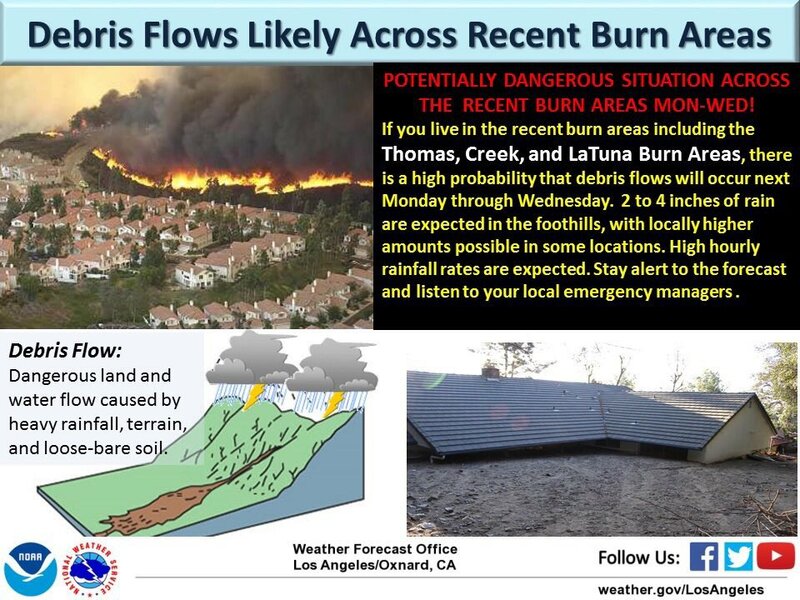 Evacuation orders were issued on Sunday, January 7th for those living in or near the Thomas, Whittier, Sherpa and Rey Fire burn scars at noon on Monday, January 8th. This is due to an approaching winter storm to sure to greatly impact these areas. 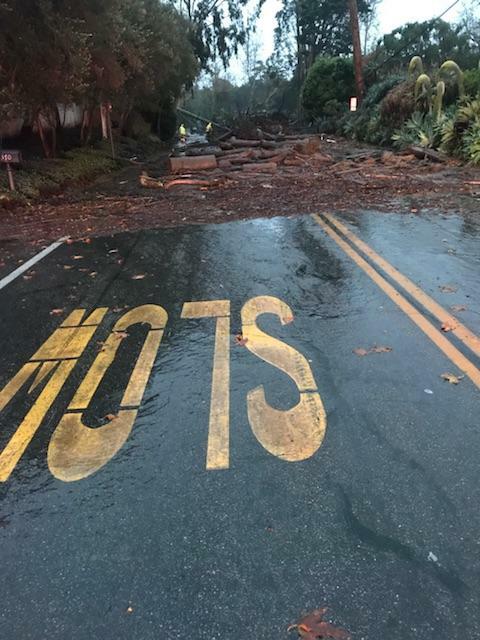 Around 0832 Hours PST, the CHP updated the closure list to include US 101 as closed SB at Milpas, NB at Seacliff and SR 126. SR 33 was closed at Fairview. 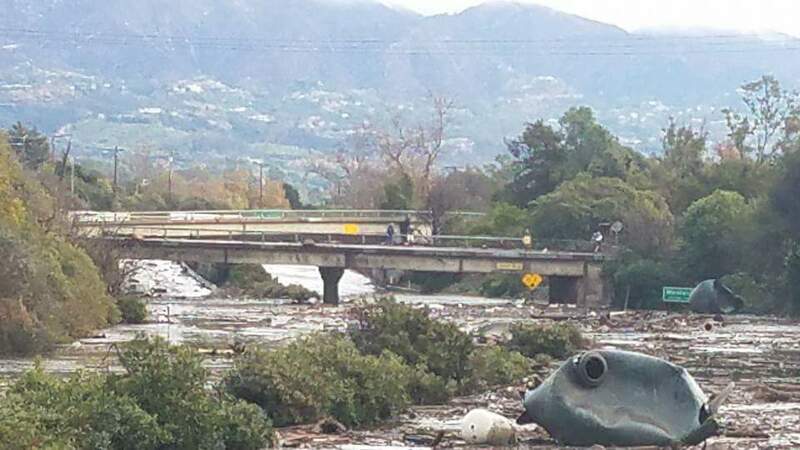 SR 150 was closed at Santa Ana. 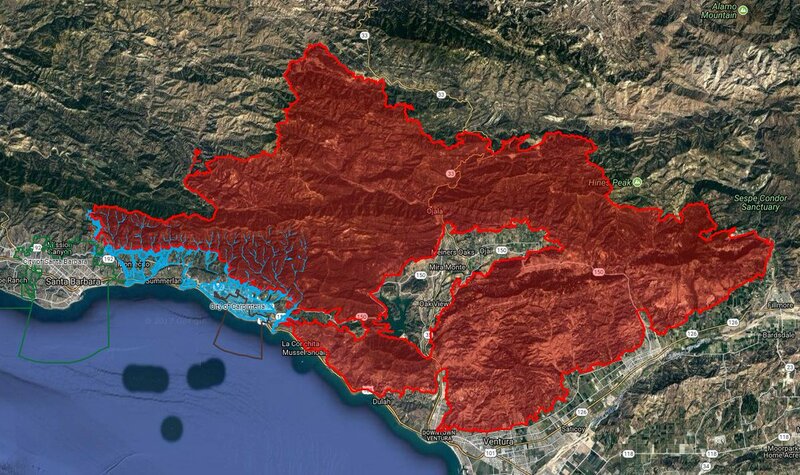 The large animal evacuation shelter for the Burn Areas Evacuation Order is at the Earl Warren Show Grounds. 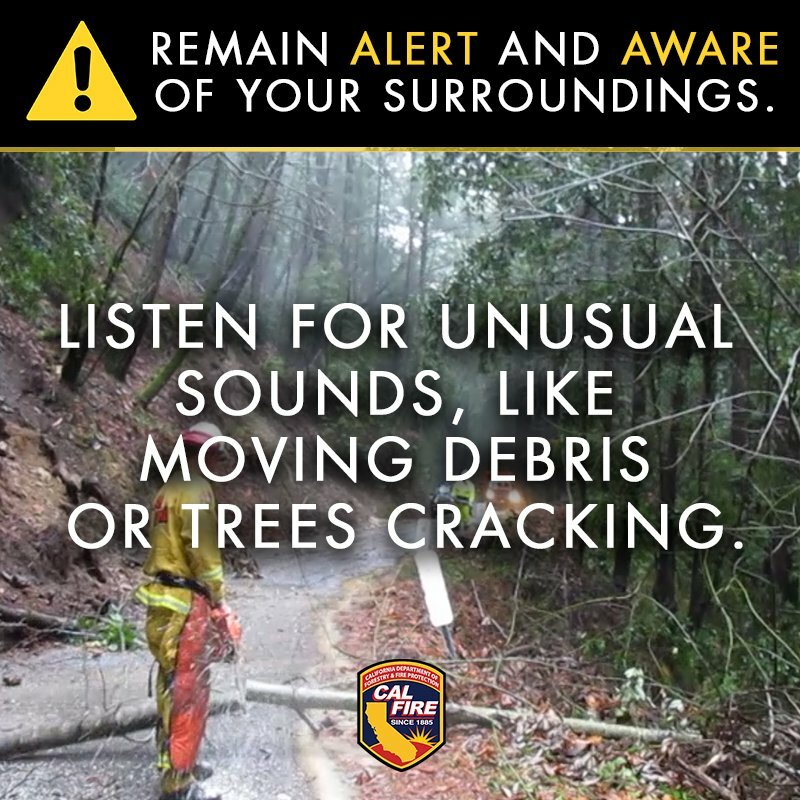 * ALWAYS be ALERT and AWARE of your surroundings. 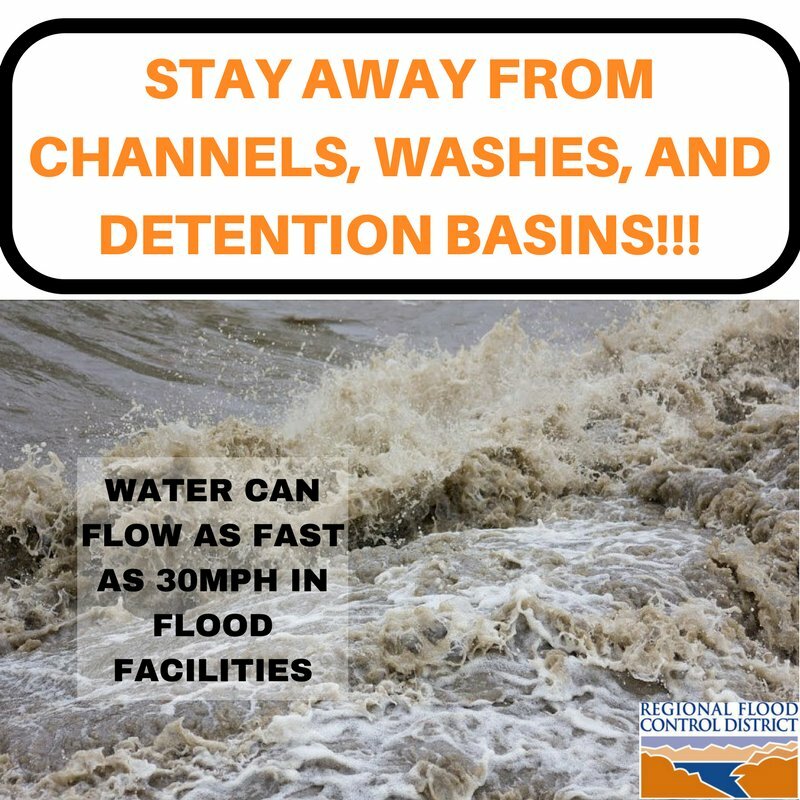 * Stay away from fast moving water. Though it may not look like it, it can pull you under or you could get injured by unseen hazards underwater.